Echinoids have lived in the seas since the Late Ordovician, about 450 million years ago, which is about 220 million years before dinosaurs appeared. The remains and traces of these animals were buried in sediment that later hardened into rock, preserving them as fossils. 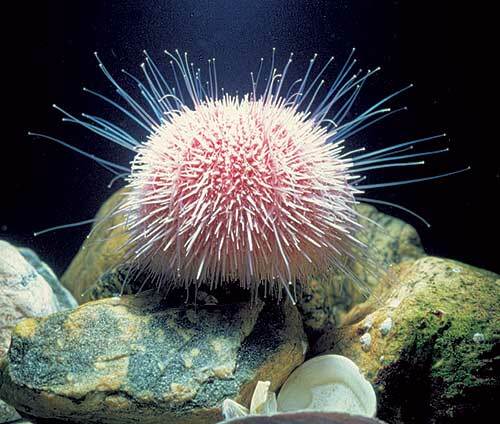 The living representatives of echinoids are the familiar sea-urchins that inhabit many shallow coastal waters of the world. 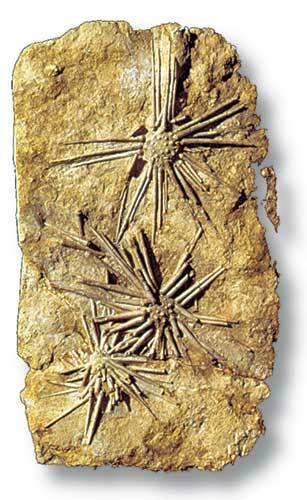 Fossil echinoids closely resemble some living sea-urchins which helps us to understand how they must have lived. 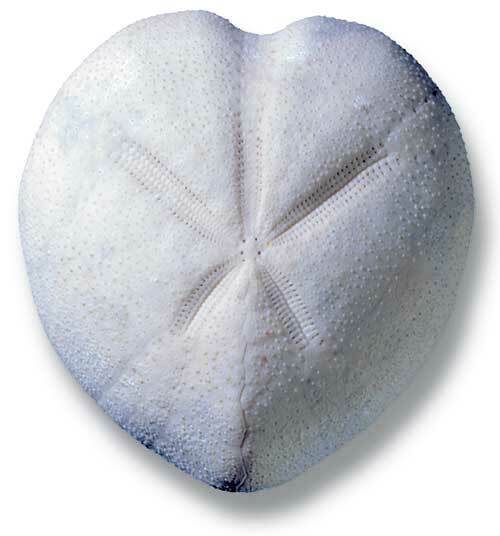 Echinoids are marine animals belonging to the Phylum Echinodermata and the Class Echinoidea. 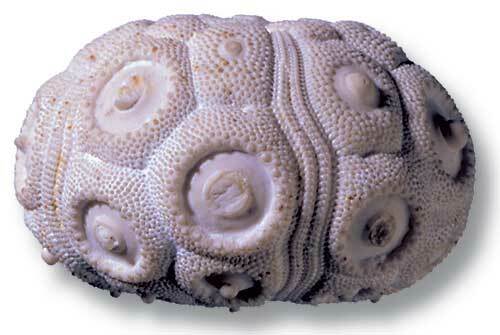 They have a hard shell (or test) covered with small knobs (tubercles) to which spines are attached in living echinoids. The test and spines are the parts normally found as fossils. The Cretaceous echinoid Tylocidaris clavigera (Mantell, 1822) with club-like spines attached. 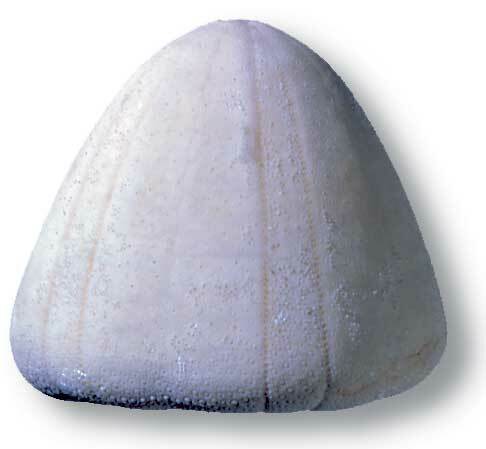 Echinoid tests have a variety of shapes; they can be globular or flattened, rounded or heart-shaped. The spines, held in place by soft tissue covering the test during life, usually became detached and fossilized separately. Occasionally, when fossilization was rapid, the spines and test are found preserved together. The most important function of the test was to support and protect the soft body inside. The test and spines are made of the mineral calcite. The test contains hundreds of calcite plates, loosely held together in Palaeozoic species, but rigidly fused together in most species since the Mesozoic. The plates are arranged so that the test appears to consist of wedge-shaped segments, usually separated by narrow bands of tiny holes (pores) that radiate out across the test. Hemicidaris from the Jurassic, with elongate spines. Calcite also forms the powerful downward pointing teeth found in some types of living and fossil echinoids. Concentrations of magnesium in the tips of the teeth add extra strength for scraping food items from rock surfaces. 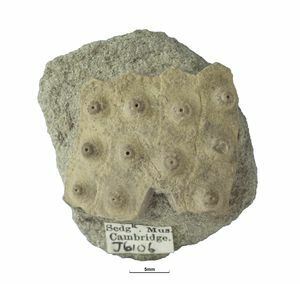 As with living animals, fossil echinoids are classified into species and genera whose names must be Latin words or words that have been latinised. The proper scientific name of a particular echinoid consists of the name of the species, preceded by the name of the genus to which it belongs, plus the name of the first person to describe it, and the date. Spines, some poison-tipped, help protect echinoids from their many predators, which include other echinoids, crustaceans, octopuses and fish. Some fossil echinoids made themselves less palatable as prey by having large solid spines. Echinoids also use their spines for moving around the sea-bed, and in some groups they are specially adapted for burrowing. Echinoids and their enemies : A seascape showing the kinds of environments inhabited by modern and fossil echinoids. 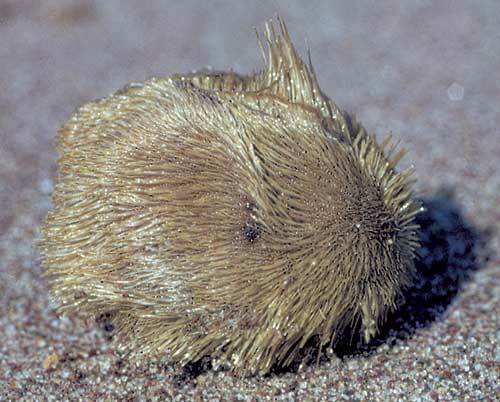 Burrowing sea-urchins (1 & 2) conceal themselves from predators, while non-burrowing types (3 & 4) cling to rocky surfaces and have defensive spines to protect against fish, lobster, starfish and octopus. 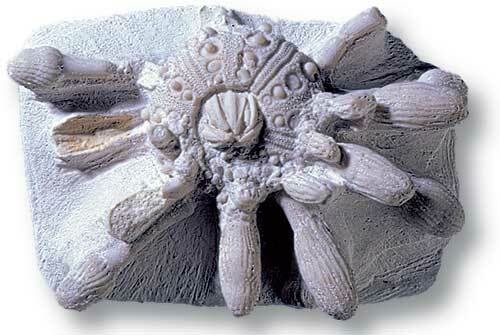 In the Mesozoic, echinoids evolved into a variety of shapes adapted to burrowing beneath the sea-bed. 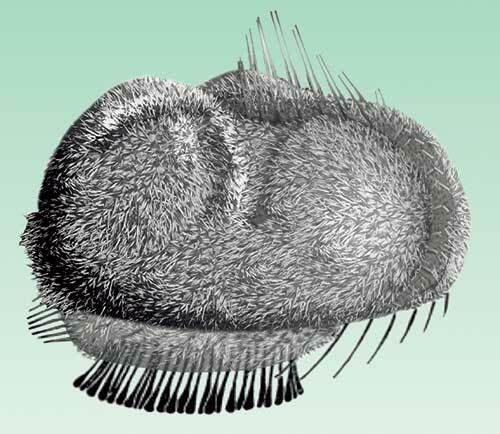 Concealed from predators, they used numerous bristle-like spines for ploughing through the sediment rather than for protection, and some probably resembled the modern day Echinocardium. Echinocardium cordatum (Pennant, 1777) (Recent) with different kinds of bristle-like spines used for burrowing. The Recent burrowing sea-urchin Encope, with specialised food-collecting channels. Some echinoids wandered the sea-bed scavenging on a wide variety of food, including algae, plants and encrusting organisms. Suckered tentacle-like organs (tube feet) extended through the pores in the test, their powerful grip preventing the echinoid from being overturned in rough water, and enabling it to climb rock faces as well as assisting in feeding and respiration. Food particles were extracted from the sediment swallowed by burrowing echinoids, and in some types holes and frills in the test and grooves around the mouth helped to maximise food-gathering ability. 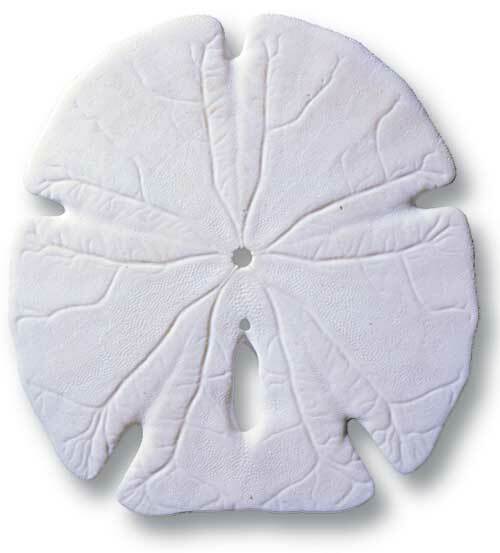 Fossil echinoids are a reliable indication that the rocks containing them were formed in a marine environment. However, they can also be a useful guide to the age of the rocks in which they occur. Their remains are sometimes more common and better preserved than other types of fossils normally used for biostratigraphy. This is the case in the strata of Late Cretaceous age, known as the Chalk Group, which form the famous White Cliffs of Dover. 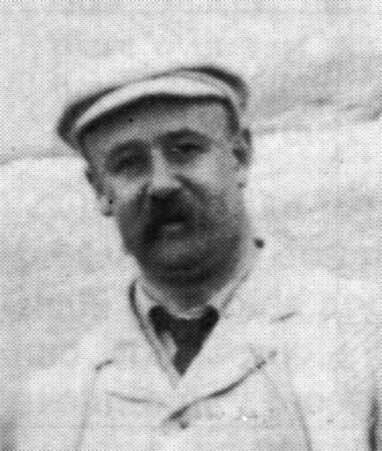 Pioneering work by A W Rowe (1858–1926) and R M Brydone (1873–1943) in southern England showed that different types of echinoid could be used to divide parts of the Chalk into Biozones and Sub-biozones of different ages. This is particularly important for the purposes of correlation in the Chalk, which superficially has a very uniform appearance. Palaeozoic echinoids are less useful to geologists because they tend to be rarer; their primitive tests often quickly disintegrated before fossilisation could occur. The use of echinoids for Chalk biostratigraphy has some problems. The differences between species can be rather subtle, and occasionally a particular test form, or morphology, is repeated at horizons of different age. Also, some echinoids in the Chalk show faunal provincialism, making correlation between different geographical regions more difficult. 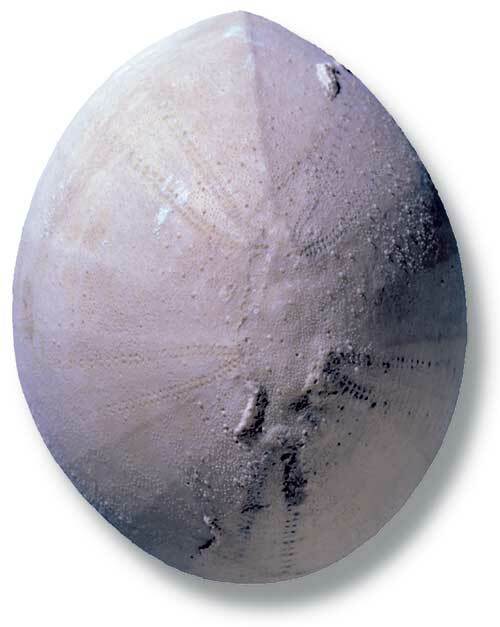 Temnocidaris (Stereocidaris) sceptrifera sceptrifera (Mantell, 1822), a long-ranging Upper Cretaceous echinoid. Echinoids are rather slowly evolving compared to some other fossil groups (e.g. 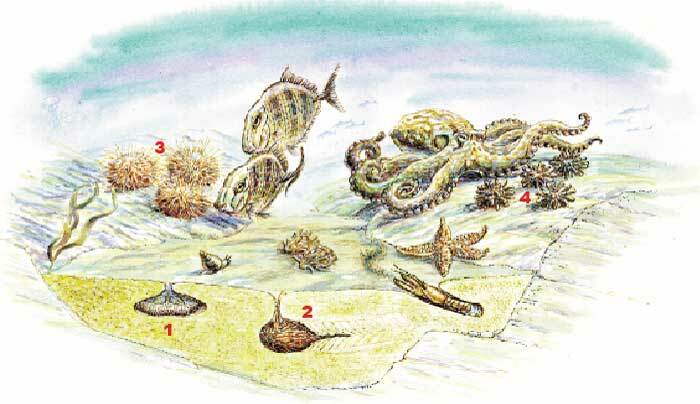 ammonites), so that the Biozones and Sub-biozones they define represent relatively longer periods of time. Echinoids are common in the Chalk rocks of the Cretaceous. Examples of echinoids through time. Clypeaster rosaceus (Linnaeus, 1758) Recent. 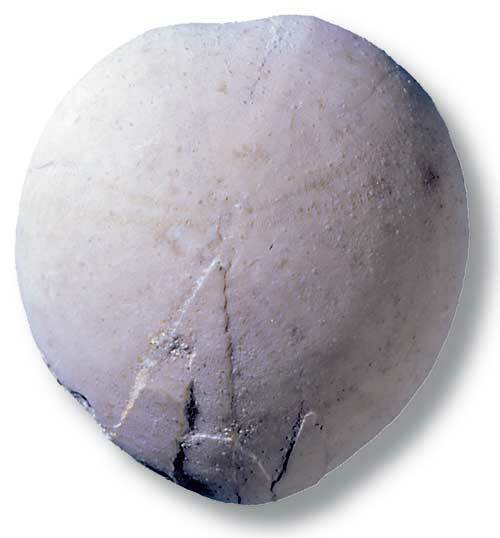 Early drawing of a fossil echinoid. (Natural History Museum). The Echinodermata take their name from the Greek words for spiny skin, a very conspicuous feature of many living echinoids. Since ancient times they have been revered as objects of religious or superstitious power. The illustration is inspired from a mediaeval woodcut of the story. In Denmark they were thought to be thunderbolts, and used to protect against lightning and witchcraft. An ancient Celtic tradition held that they were formed from froth thrown into the air by snakes, and retained magical powers if caught before falling to the ground. 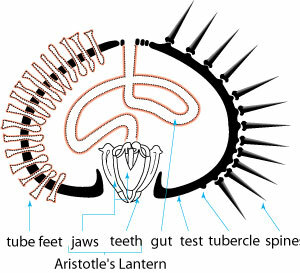 The name Aristotle's Lantern for the complex jaw apparatus of some sea-urchins was first coined by Klein in the 18th century because of its similarity to a Greek lantern, and Aristotle's fascination for the sea-urchin. Echinoids have been used in traditional remedies for stomach disorders, and in Roman times were considered an antidote to snake-bite. Spines of the Cretaceous echinoid Balanocidaris glandifera, bearing a superficially resemblance to a bladder, were used to treat gall, bladder and kidney ailments, and those of the Recent Heterocentrotus mammillatus (Linnaeus, 1758) were ground up and mixed with vinegar to treat ear problems. Modern echinoids can live for up to 15 years, and like their fossil ancestors, many have a second line of defence against predators and parasites. Tiny jaw-like structures (pedicellaria) with sharp blades and poison glands nestle between the spines, snapping shut and injecting their venom when touched.